Times and tastes are constantly changing. Tattoos that were once in style may have become blemishes you’re embarrassed to show in public today. Sometimes, the tattoo a person received years ago just doesn’t represent their personality today. That’s why removing them can make a huge difference in how you feel about yourself. Laser tattoo removal treatments could be what you need to provide optimal removal while leaving the surrounding skin unharmed. The impact of the laser is similar to a small rubber band being snapped on the skin, and most patients do not require anesthesia. Dr. DeBias will give you information on how best to care for the treated area after your procedure. Dr. DeBias is an expert in the knowledge, training and application of laser technology. He has successfully performed thousands of laser procedures with high patient satisfaction. 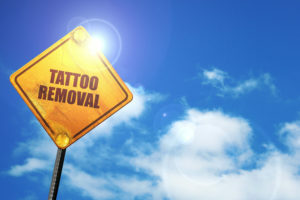 How do tattoo removal treatments work? Selective absorption of very high peak power laser light pulses by tattoo ink in the skin causes the targeted ink particles to break down mechanically while significantly decreasing potential damage to surrounding tissues. The fragmented particles are then removed from the skin by the body’s immune or lymphatic system. 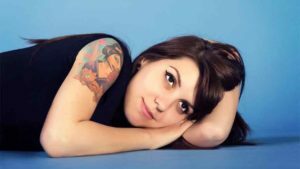 The number of required treatments is dependent on several factors, including depth of ink penetration, the age of the tattoo, and color intensity—that is, lighter versus darker colors. However, most people need five to six treatments and begin seeing results after only one or two sessions. While certain pigments and inks are harder to erase than others, the majority of colors can be removed—including black, blue, green, brown, and even red.